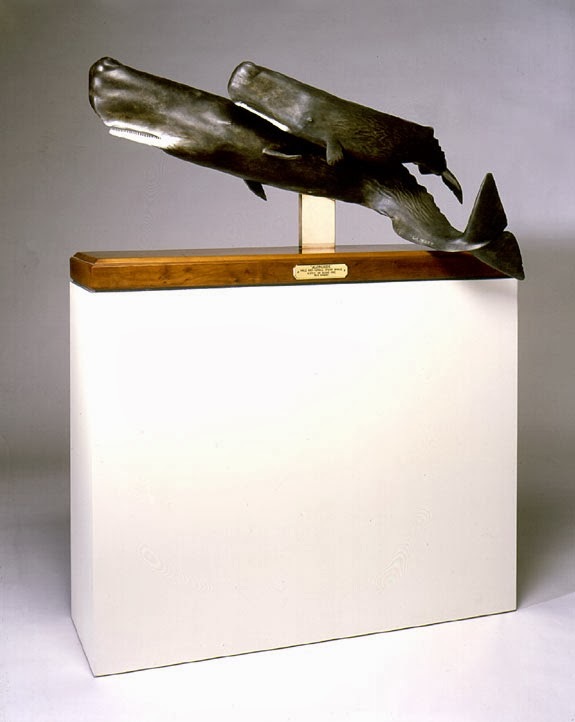 Artist and sculptor Wick Ahrens is known for creating whales out of basswood in a naturalistic style. 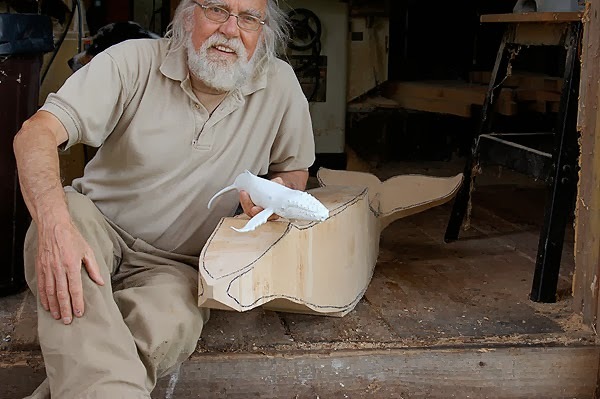 His studio/gallery in Weston, VT is called Whales in Vermont - playful name as Vermont is landlocked... but that is part of the joke I imagine. His work is in corporate collections, galleries, public spaces and occasionally for sale. Smaller (32") pieces are sometimes in the New England tradition of weathervane icons [like those -ed.] and others go up in size to 54" or commissioned 18 foot x 1000lb works. 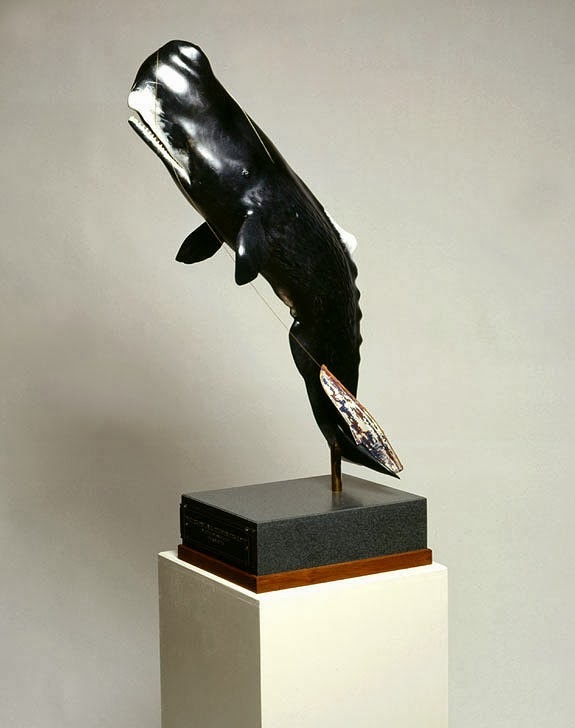 "Where Have All The Whalers Gone"